When we signed up in Premier in August of 1986, we were looking for something for Pauline to do when we started a family, so she would be able to quit her job and still have some money coming in. We were so excited with the opportunity Premier provided for income and friendships. We never knew the incredible impact Premier, as well as Joan and Andy, would have in our lives!!! There was just something amazing about spending time with the Horners that changed our perspective on many things. Their love and compassion for others and their concern to help people know Jesus has been an incredible testimony. It was special having them in our home. Andy has always loved getting to know the Premier Leadership personally. It was amazing how Joan remembered our kids’ names and asked about them by name each time we were together! It was amazing for our kids to know them as well since they grew up hearing stories about Joan and Andy. Growing up around a lot of pastors, I saw them act differently in public than they did in private. But being around Joan and Andy for over 25 years, I saw what it meant to live a real and genuine life. It was humbling when they would call us personally and pray along with us about our personal, non-Premier lives – whether it was about a job, the kids, or moving back to Texas! I remember one time Andy cared enough to call and pray with me when when I was working long hours and traveling a lot – getting frustrated and burned out at work. That meant so much to me. From the beginning, Andy has never talked about making money or achieving titles, only about enriching lives by loving others and helping them succeed – making money would happen as a by-product. He said remember that God created everyone with value and worth! He always talked about people needing a dose of hope! Loving and Serving others – expecting nothing in return. For most people this is not easy to do, but they were such loving examples of how to repeatedly show love. Accepting others – as they are. They constantly set the example of letting others know what they believe, but they accepted them as they were because Christ accepted us. Keeping It Personal – We implemented Joan’s mission early on in our Premier career. It is a great feeling appreciating and caring for others by writing notes and being a part of their lives. Being a Servant Leader – They were always putting others first, even in difficult situations. I will never forget the time we went to Florida and Andy served as our bellman. You can’t out give God – The more you give away, the more God blesses you. We have been able to see them live this out in their lives in numerous instances. They were just the most giving people we have ever been around. Joan and Andy were incredible business leaders – but more than anything, they had such practical advice for loving people where they were and encouraging people! When you think about it – their legacy can have a profound impact on your life!!! Loving people, encouraging them to be all God called them to be, doing life together – you will build a business. It was so refreshing and impressive to witness their concern for others and then giving of their financial resources. They genuinely and faithfully have lived out their motto – you can’t out give God!! Because of the example that Joan and Andy lived, they have had a tremendous impact in our lives towards local and national missionaries! 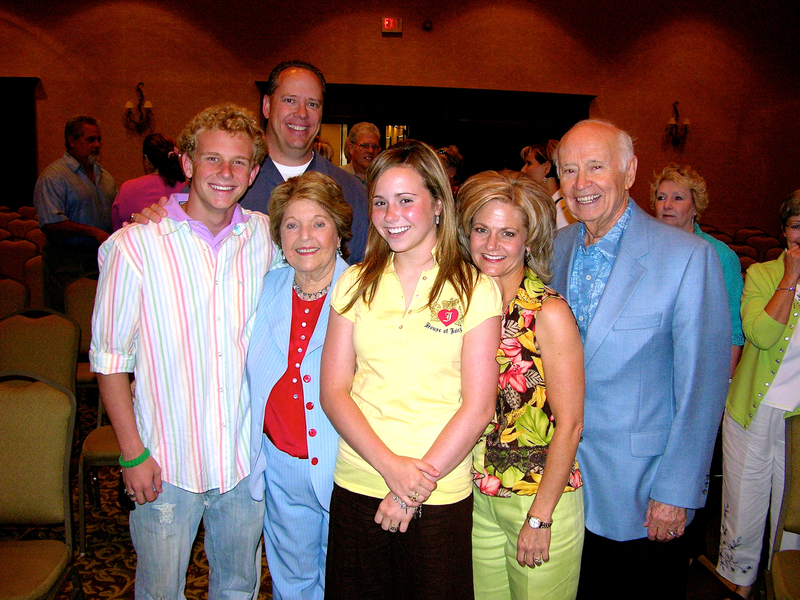 Their example has given us a passion to use our time, talent and treasure for missions. I can’t even imagine where our lives would be without the examples of Joan and Andy Horner, as well as being a part of Premier Designs! Kent and Pauline Meier joined the Premier Family in August of 1986 and are 7 Diamond Designers serving in Colleyville, TX. They received our 2003 Servant Leader Award, Pauline is our 1994 Princess and Kent our 2013 Mr. Premier. Kent & Pauline you have been my inspiration to succeed in Premier. I feel like God has put me in this path to continue with this beautiful Premier family. May God continue to bless you and guide you to lead others as you have me. I’m new but all that I read and here I’m really excited about going strong in this business. I love that it is a christian base business, and everyone is there to help..Thank you very much.